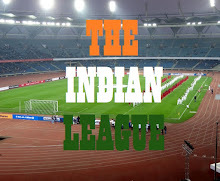 The Chandigarh based club has announced the Change of name in a bid to increase their appeal amongst fans as they await AIFF's approval to play in I-League. The change of name was announced on the club's official facebook page. Minerva Punjab FC, who participated in 2015/16 I-League 2nd Division, were the Champions of Western Conference and missed the chance of promotion on the last day of League when they lost to eventual champions, Dempo SC. The Club officials had submitted their bid for direct entry into I-League but didn't pass AIFF's strict financial criteria, which included a 100 Crore bank Guarantee. This led to AIFF calling for new bids. 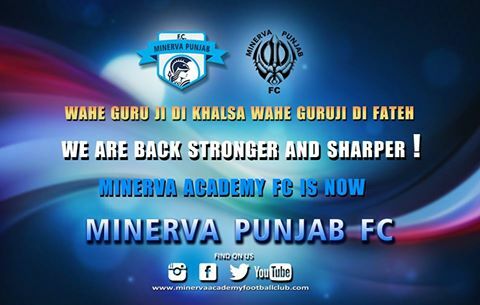 Minerva Punjab FC, boast of state of art facility and a residential academy, are confident of getting direct entry as AIFF has decided to relax the financial criteria. If MPFC gets green light from AIFF to play in I-League, they will play their home games at Guru Nanak Stadium, Ludhiana, which has hosted JCT FC's matches in the past.